Product code: ES3200 Categories: Sold Items, Sold Rings. Art Deco diamond rings are ones that have never gone out of fashion or style and it is becoming increasingly popular to wear an Art Deco diamond engagement ring on your finger for something very special and unique. 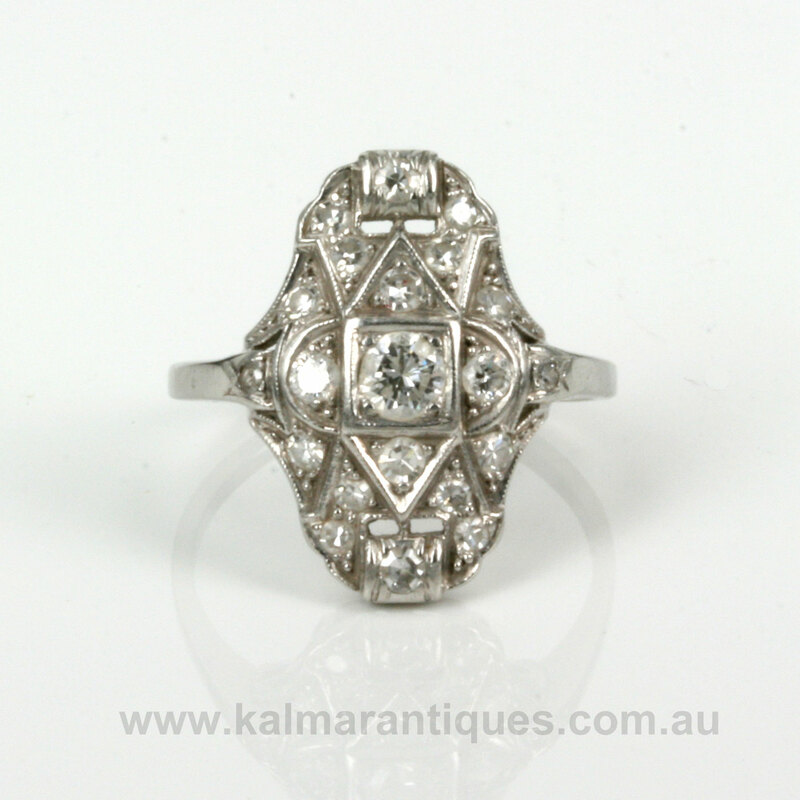 And here is a very elegant Art Deco diamond ring that would suit any finger for any occasion. 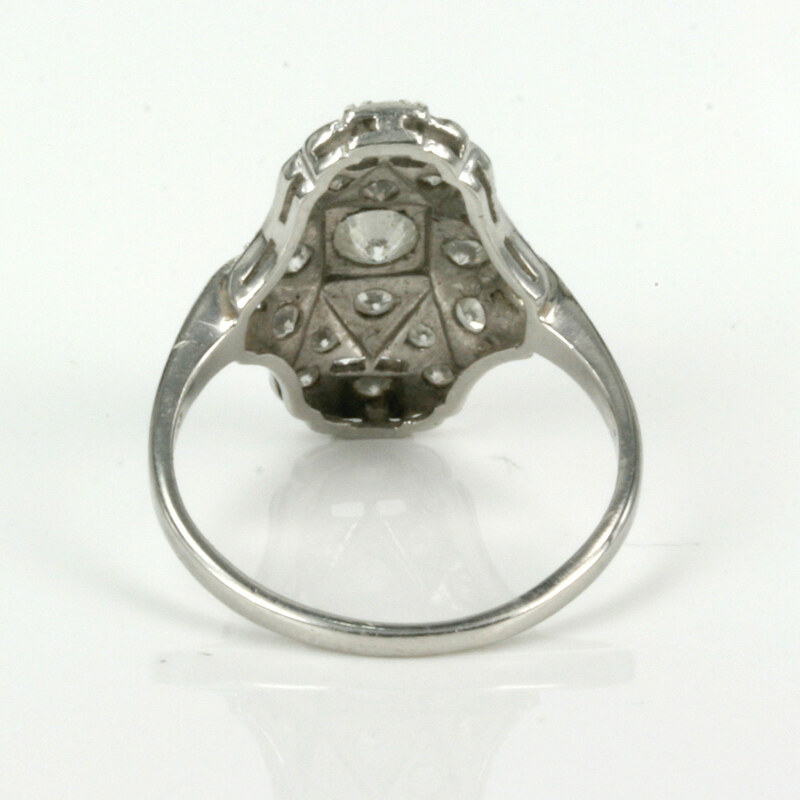 Hand made in platinum in the 1920’s, this ring has all the characteristics of Art Deco jewellery with its fantastic design and also the way the diamonds are set. Often in Art Deco jewellery you will see a “shape in a shape” and when you look closely at the diamonds, you will see that the round diamonds are actually set into their own section. There are round diamonds set into triangular settings, square settings and even on each side of the centre diamond half moon shapes as well. It is all about the unique designs that give a genuine Art Deco ring so much more charm over massed produced rings that all look the same. In total there are 21 diamonds with a total diamond weight of 0.63 carats and are G in colour and Vs to Si in clarity and sparkle wonderfully set into the platinum. From left to right the ring measures 14.4mm across by 19.6mm from end to end and the ring has a curve to it to allow it to hug the finger so well. 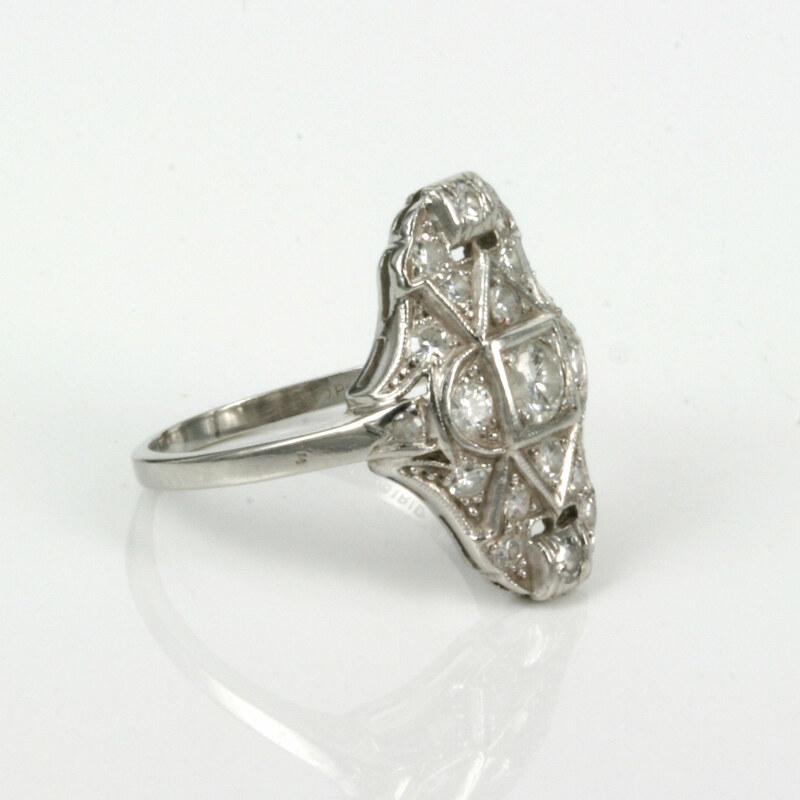 This Art Deco diamond ring is so special and unique and will always be loved and admired.